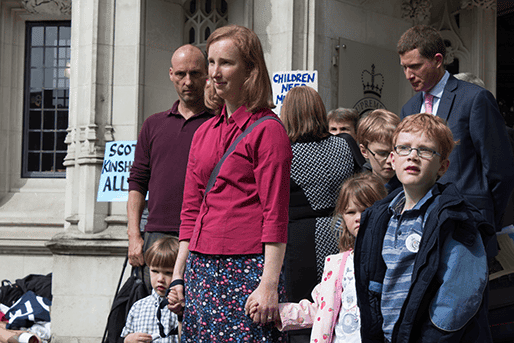 Ahead of this morning’s ruling on the Named Person scheme, James (41) and Rhianwen McIntosh (38) walk into the UK Supreme Court with their family Caleb (9), Joel (6), Charis (4) and Micah (2). Thursday, 28 July 2016. The family were informed in April 2014 that their children had been assigned named persons, before the scheme was scheduled to be implemented. 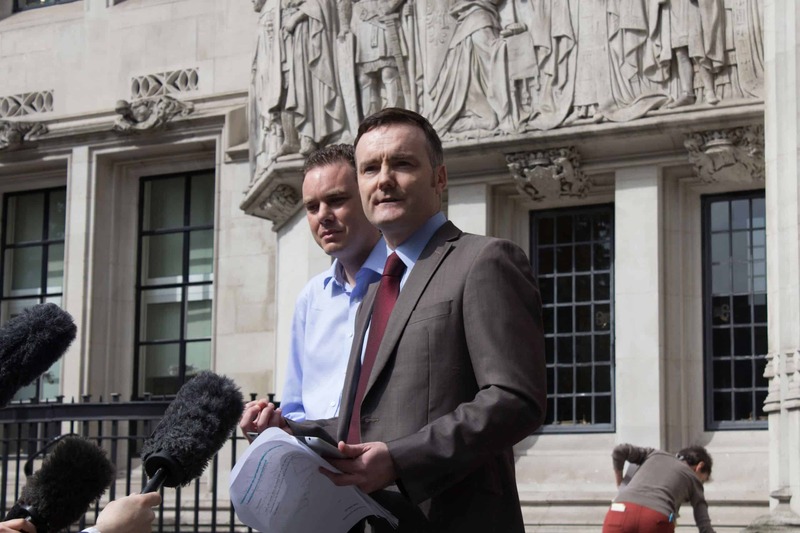 The NHS wrote to them saying their children’s medical records would be passed to the named persons, who would also be informed if an appointment was missed. 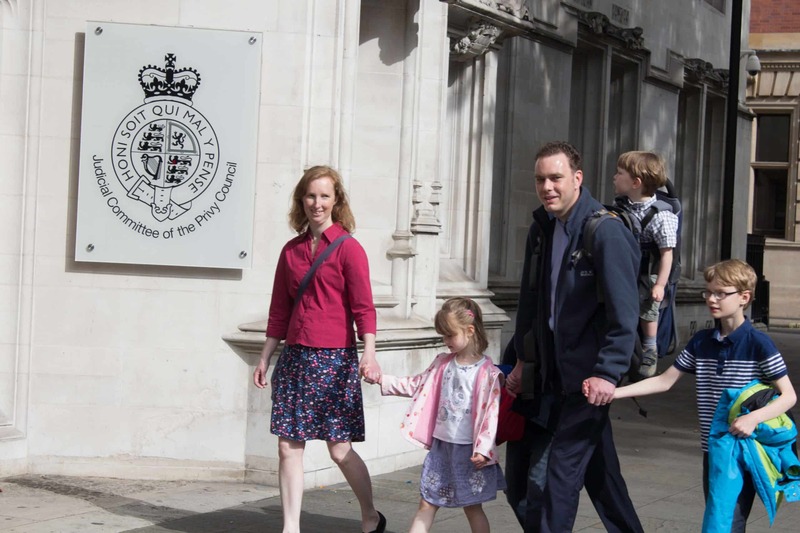 Simon Calvert, Deputy Director for The Christian Institute, at the UK Supreme Court with James and Rhianwen McIntosh and family, Thursday 28 July 2016, following the Court’s ruling that the Named Person scheme is illegal. Simon Calvert, Deputy Director for The Christian Institute, and parent James McIntosh (41) address the media outside the Supreme Court. 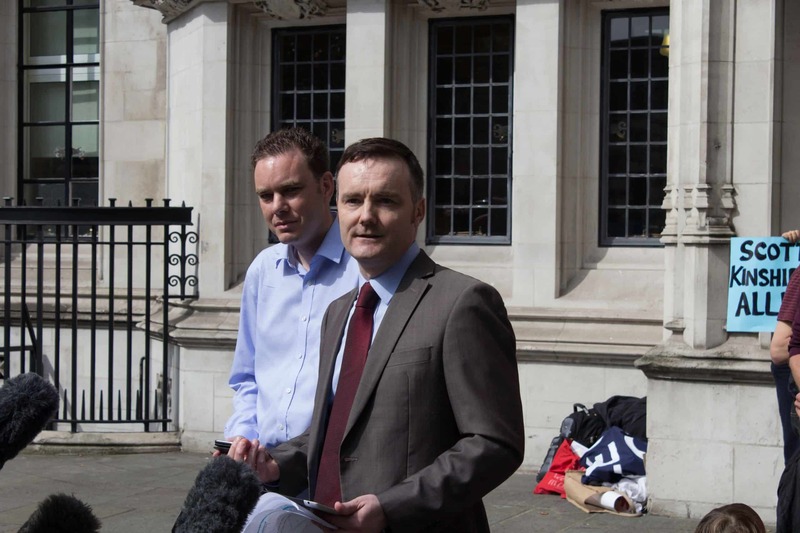 Simon Calvert, Deputy Director for The Christian Institute, and parent James McIntosh (41) speak to the assembled media outside the Supreme Court. Mr Calvert said the scheme was a Big Brother nightmare. Simon Calvert, Deputy Director for The Christian Institute, and parent James McIntosh (41) spoke to the media after the court ruling, with Mr McIntosh saying the decision was a victory for ordinary families. Rhianwen McIntosh (38) outside the UK Supreme Court with children Caleb (9), Joel (6), Charis (4) and Micah (2) on Thursday 28 July 2016. 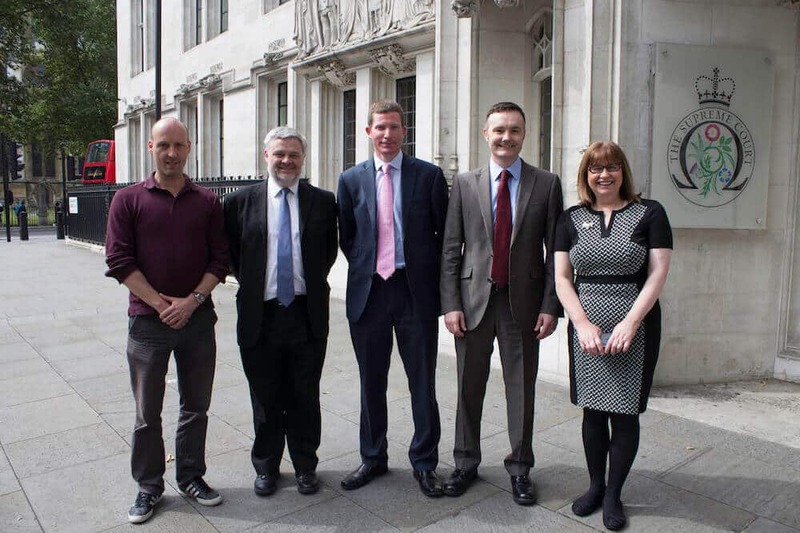 Parent James McIntosh (41) described the Named Person scheme as needless and intrusive. 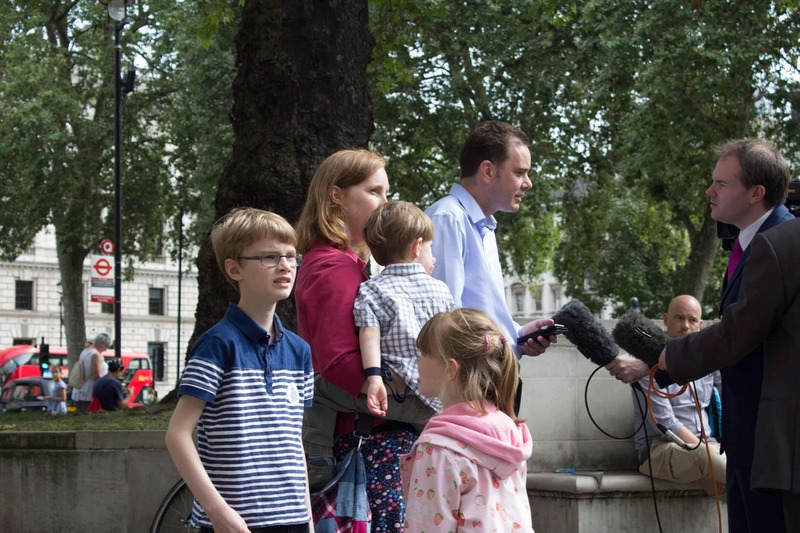 James (41) and Rhianwen McIntosh (38) with their family Caleb (9), Joel (6), Charis (4) and Micah (2) on Thursday 28 July 2016 outside the UK Supreme Court, following ruling on the Named Person scheme. 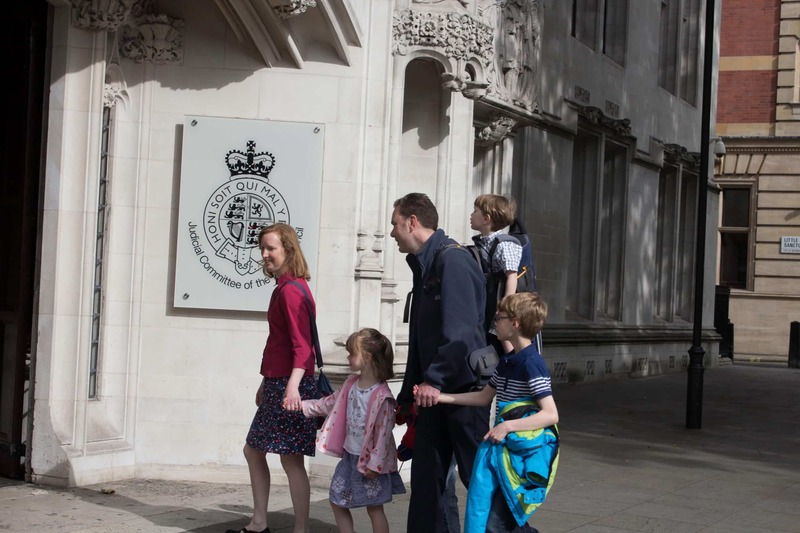 The family were informed in April 2014 that their children had been assigned named persons before the scheme was scheduled to be implemented. The NHS wrote to them saying their children’s medical records would be passed to the named persons, who would also be informed if an appointment was missed. Outside the Supreme Court today, Thursday, 28 July 2016 (left to right): Dr Stuart Waiton, Senior Lecturer (Sociology), Abertay University; Norman Wells, Family Education Trust; Sam Webster, Solicitor Advocate, The Christian Institute; Simon Calvert, Deputy Director for The Christian Institute; Alison Preuss, independent parents’ advocate. 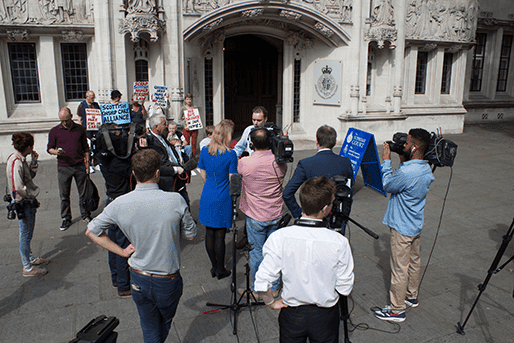 Mr Calvert explains how the plans were ‘unwanted, unworkable and undemocratic’. 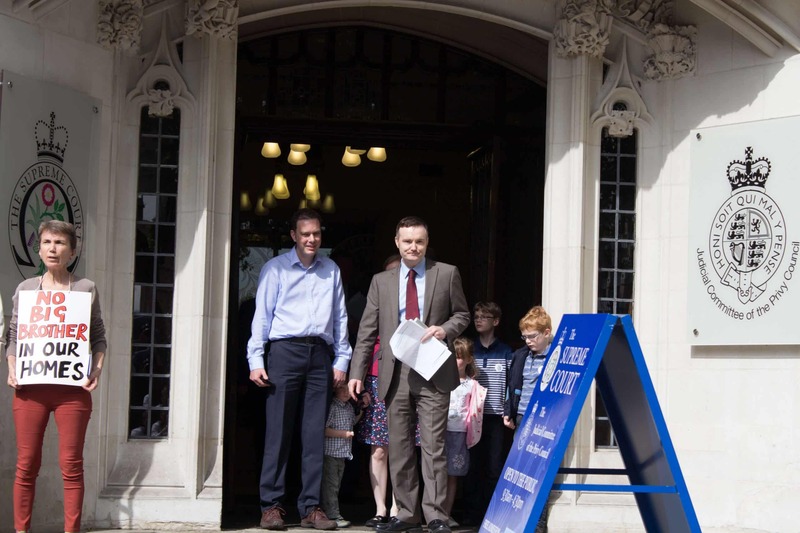 Mr Calvert explains that the Supreme Court’s ruling on our judicial review of the Named Person scheme is a victory for ordinary families across Scotland. Simon Calvert, Deputy Director for The Christian Institute, says that the Supreme Court has recognised concerns about data sharing in the Named Person proposals. Any new legislation on the issue will “look very different” from the old legislation, he added. 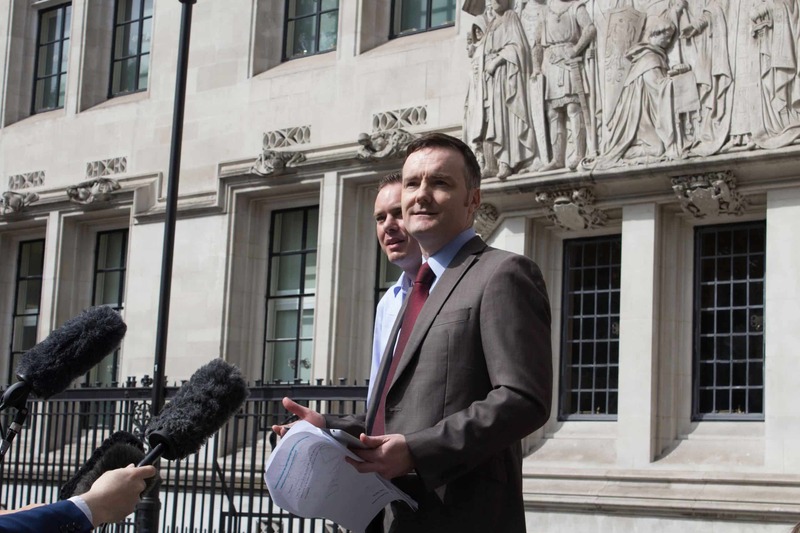 James McIntosh, a parent involved in the legal action against the Named Person scheme, speaks outside the Supreme Court after judges rule the proposals are unlawful.